Go to the Walker Lake page to read the back story. So in 1966, that parcel strip was subdivided and my property was sold for the first time as a Maple Park Development lot. ​Now that it was conveyed outside the Swezy family, 13 covenants were included in the 1966 deed. The covenants include a flat $10.00 annual maintenance fee, to my developer Charles Swezy, for use of his lakefront Maple Park lot. That lot is Maple Park's point of access to the waters of the Walker Lake, provided because of the easement that was created in 1911. (Pike County deed Book 199 Page 997). ​You can't have an easement with no access to it. That is an important point to make. There has to be a way for property owners to access the easement that is granted in the chain of title. That brings us to the next deed. It's very straight forward really, it's just a matter of following the deeds. 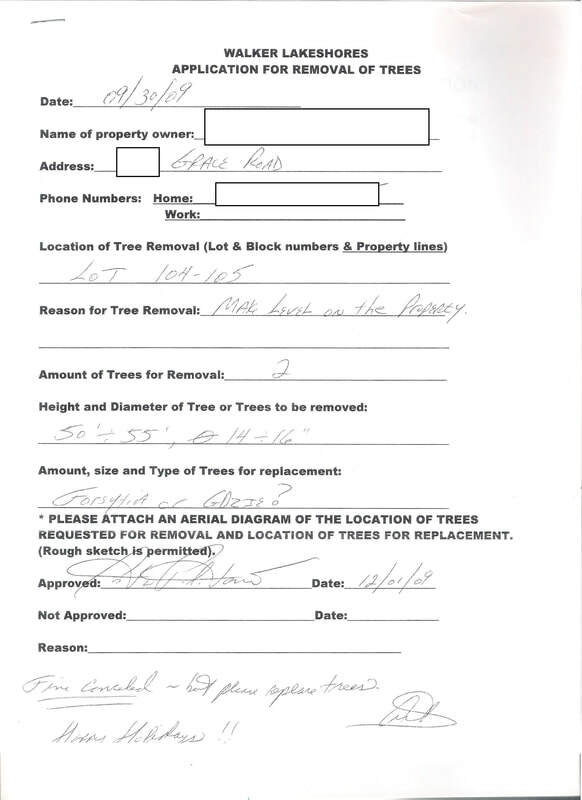 My property changes hands a few more times and eventually a home is built on it in the 1980's. In the late 1990's a very nice lady, who we've gotten to know, owned what is now my home. Through some unforeseen circumstances she was foreclosed on and the Department of Veterans Affairs took ownership of the property. This is where Our Story begins, so continue reading about this on the Our Story page. Maple Park residents have been asking for help from the Pennsylvania Attorney General's office for at least the last 16 years. If the Attorney General had done their job way back when this person complained a lot of hardships in Maple Park never would have happened, and, I never would have been put in this situation. 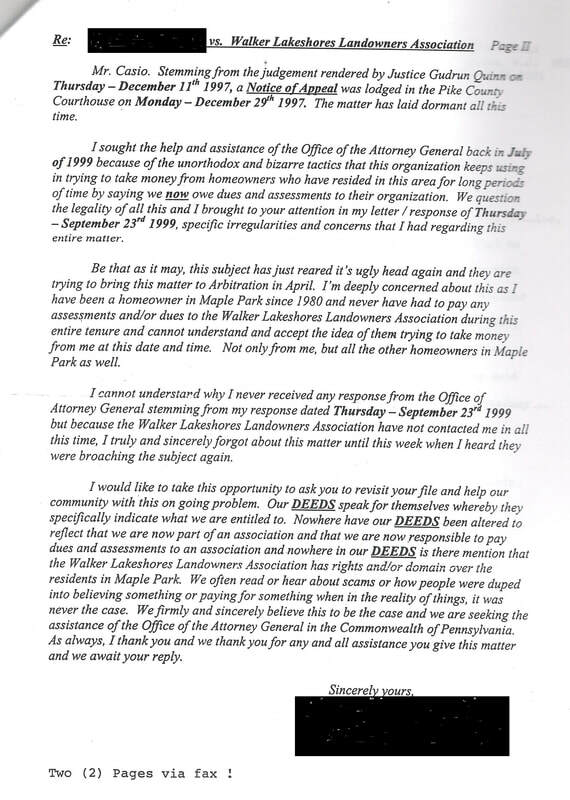 For unexplained reasons the Pennsylvania Attorney General WILL NOT assist Maple Park. I'd like to know why. ​Most of Maple Park (about 30 homes) gets some form of “billing” from this HOA. Some pay, some don’t. Some get sued, some don’t. 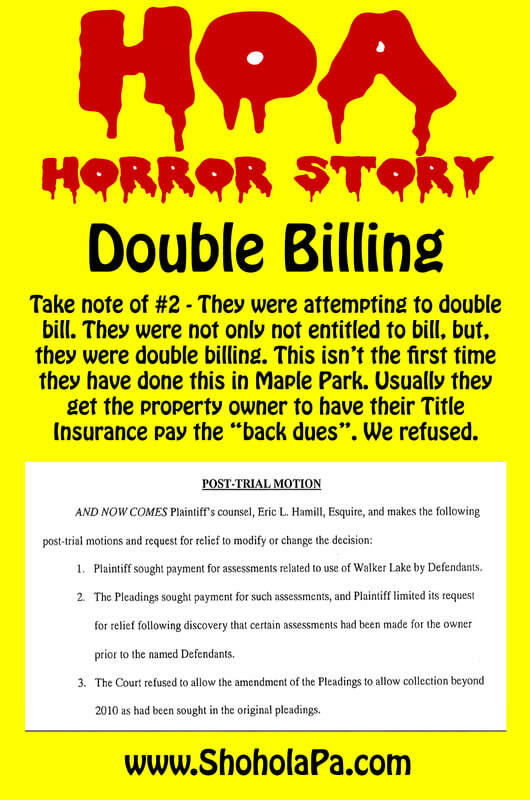 ​Six out of six of Maple Park's last foreclosures ALL had been in litigation with this HOA over "back dues". See my graphic below about the double billing associated with this issue. 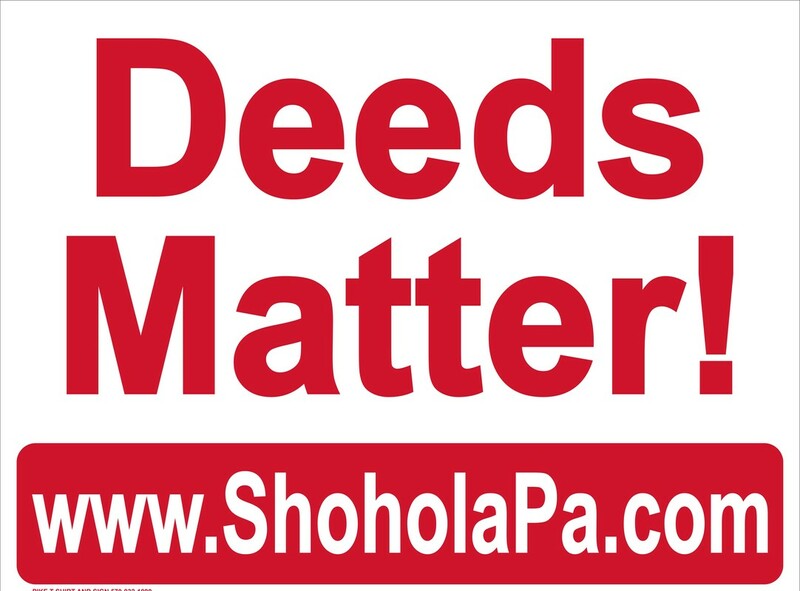 Maple Park itself has no dues or assessments beyond the $10.00 noted in most deeds. The following quote is from a Pocono Record article on this case. 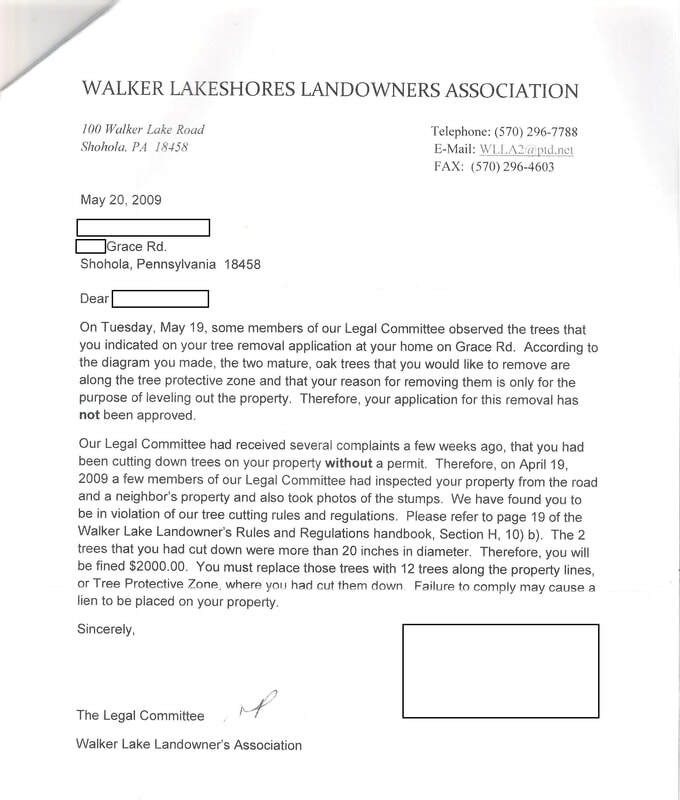 One interesting note: They hadn't paid assessments EVER according to Walker Lakeshores. They lived here for over 30 years and their "back dues" bill was less than mine! "... Maple Park resident Charles D. Swezy, descendant of the original landowners, owned and maintained the Maple Park beach area for decades. 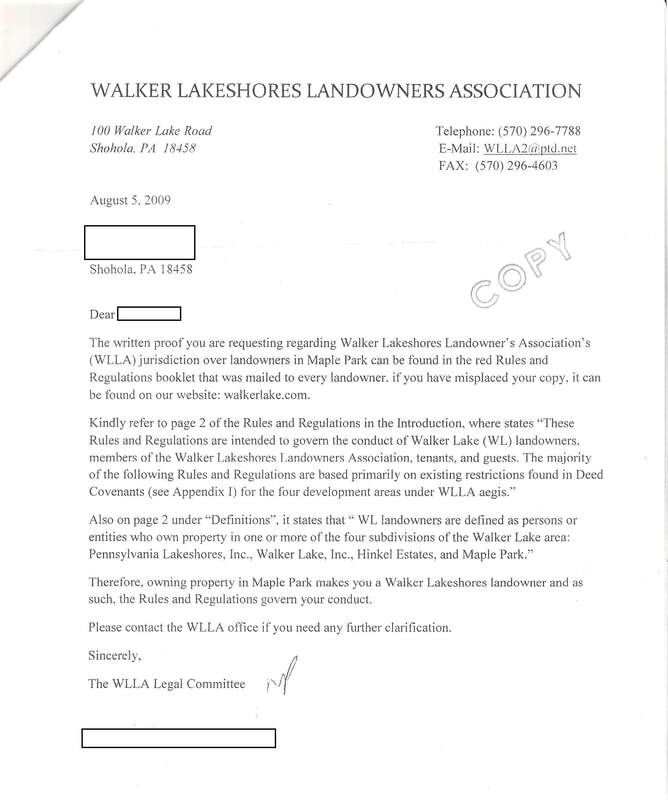 Swezy handed the beach property over to Walker Lakeshores in 2013, after the association sued him for unpaid lake assessment fees. 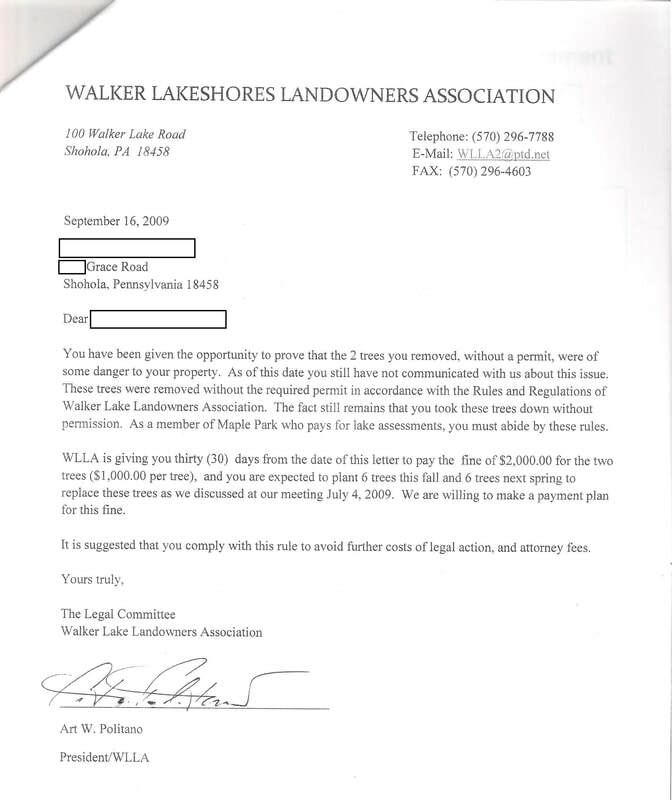 In a letter dated April 25, 2013, Politano writes to Swezy’s wife Beverly about what could happen next: either she pay a large sum of money, lose all the couple’s property in a sheriff’s sale, or sign the beach property over to the association and never have to pay lake assessments again. In the letter’s closing paragraphs, Politano offers an alternative solution. The association would not bill Swezy for future assessments either, Politano also said in the letter. 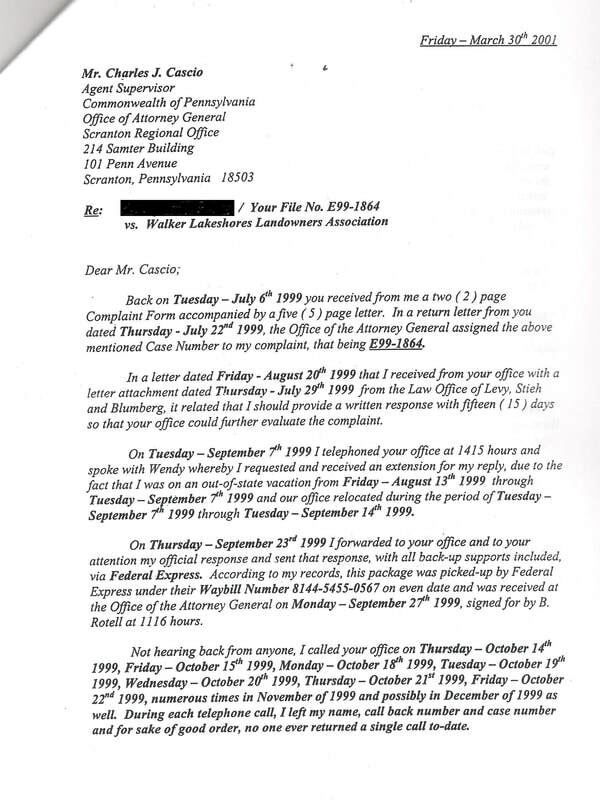 A second letter from attorney Hamill came with Politano’s letter. Enclosed was a blank deed. ..."
​Read the rest of this article on the link below. This news article includes some statements from Walker Lakeshores about our case, other cases, and Maple Park. What happens if you just pay the HOA? 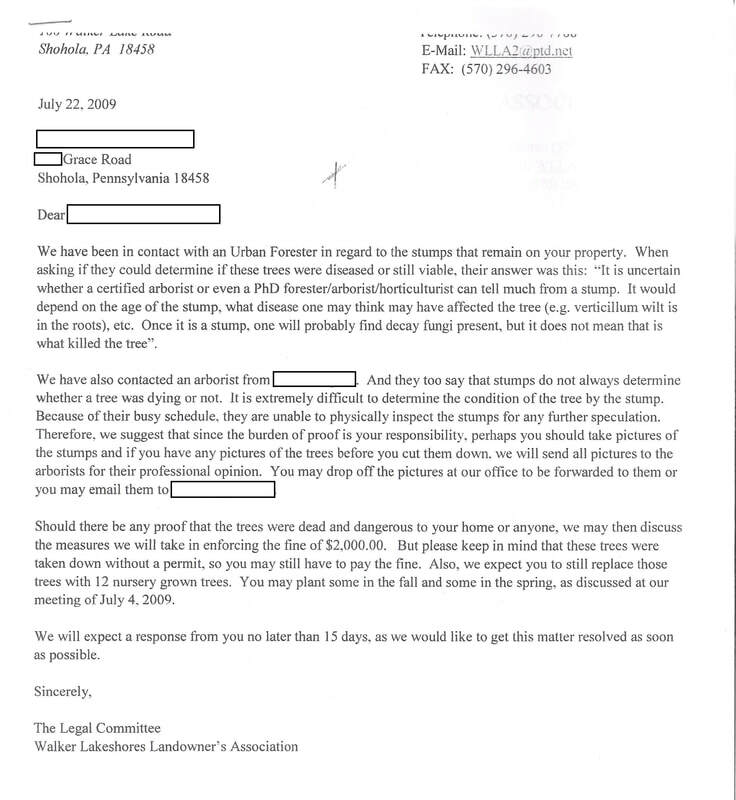 Here is a good example of what happens when some organization decides your property rights can be stripped away.